Click here for a detailed set of rules and an example puzzle. 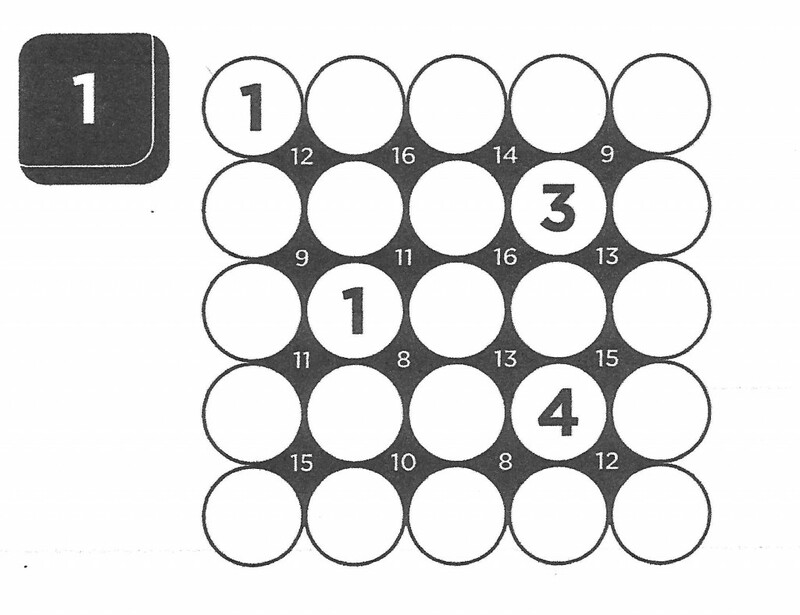 Here is an easier 5×5 Number Junctions puzzles from my second book for you to try. For a more challenge 9×9 Number Junctions puzzle click here! If you like these Number Junctions puzzles, take a look at the books of Number Junctions that I wrote which is available on mindware. Good Luck and pass the puzzles onto others who may enjoy them!